Tis the season...and time to be prepared! Exciting times are coming...and if you're planning your Oranka deliveries over the festive period then check out our schedule to make sure you don't get caught short. Maybe this is your chance to also jazz up your drinks offering. Walk into many venues nowadays and you will be greeted by a riot of colour, glorious flavours and more natural looking drinks. Move over the traditional brand line up of soft drinks as tantalising flavours and natural ingredients in juices are taking over. 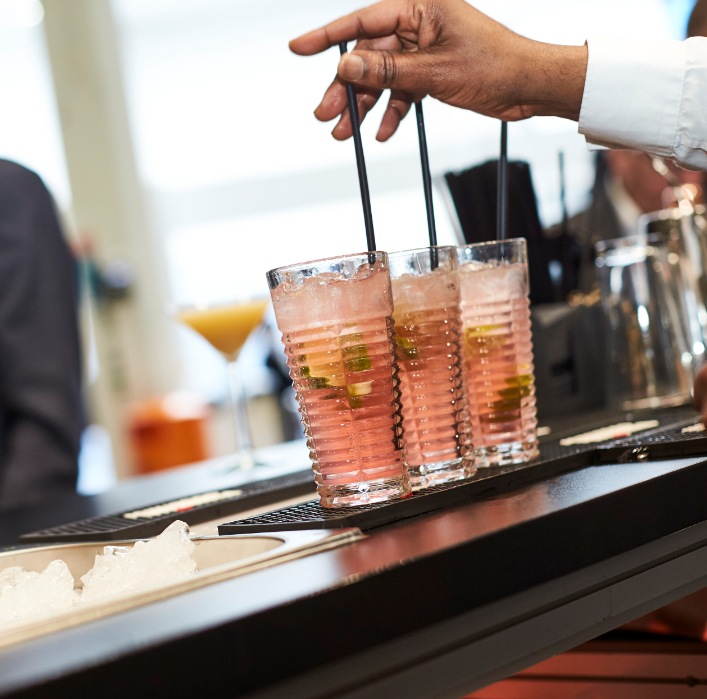 The rise in the adult teetotal population means during the festive period there is an increasing pressure on venues to deliver a premium experience when offering a soft drink. Why not answer that need by offering a more intriguing drinks range which through presentation also creates a more interesting and inviting offering. Take on more unusual flavoured drinks and formats, such as flavoured juice drinks like Peach or Rhubarb which also offer an enticing display of rainbow colours. Perfect for a refreshing, thirst quenching drink; these can also be used as a clever base drink, to add a twist to soft drinks simply served with soda or as part of a menu of mocktails. These more cost effective cocktail bases are proving popular as the financial implications of having several base fruit flavours can make the opportunity of offering a diverse range of cocktails or mocktails unrealistic for most. Typically these drinks are also lower in sugar and high in vitamin C, so easily respond to any sugar concerns. So get the party hats out, have some fun and enjoy the weeks ahead!